A relaxed variety streamer, who likes to commentate.. A lot. 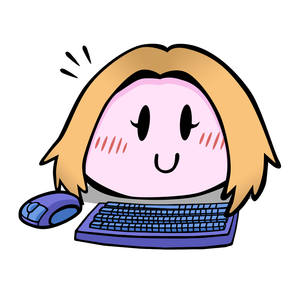 I'm Sini, a Finnish-Austrian laid back variety streamer that started streaming as a distraction from life. Sounds sad, but focusing on both a game and the commentary with it works perfectly for not letting your mind wander to other things. It's been lovely to also grow a community and see it shape up to be just the kind I always wanted; one with a positive, be it quiet, atmosphere. Streaming has also definitely helped me to get over a few self-consciousness issues and to be a lot more comfortable sharing more failure rich experiences when it comes to playing games. As most gaming streamers, I too have been gaming ever since I was young. It started with Nintendo consoles like the GameBoy Color and the N64 (came in a little late on the consoles, although I was born in 1990), though later on more PC focused games got to be part of my childhood as well. Due to the mostly Nintendocentric beginnings I have a warm spot for console gaming, even if I am more of a PC gamer nowadays. My inner gamer comes out in other hobbies as well. For example: I crochet and most of my projects, be it plushies, hats or what have you, have been gaming related. I would even argue that my best works are the ones that somehow connect to either gaming or other more 'nerdy' things. Sometimes rarely I also make animations or art, though gaming related or not I feel the results are on the rather amateur side. Even so, I'm still happy enough with them to share them in the form of my panels or many of my streams alerts. In the past I used to also play saxophone, piano and bass guitar. I do have a piano in my apartment which shows up in the background of my webcam, but it is terribly out of tune and I haven't played it in years. I hope to finish a lot of games from my backlog while creating an atmosphere, that is positive and welcoming to everyone. I also wish to be able to help people with questions they might have, especially during a FFXIV stream. I have finished bigger AAA titles like Horizon Zero Dawn and the Legend of Zelda: Breath of the wild. I very much loved both games, but smaller titles like Unravel, Slime Rancher and the like have a big place in my heart as well. There are so many different types of games, it's impossible for me to pick one I love over all of the others. The only thing I can say with certainty is, that my favorite MMO is Final Fantasy XIV. I hope to get people more interested in something like crochet, show that it isn't something hard to pick up and teach them the basics if they so wished. I finished a Chara doll (the character from Undertale) which involved a lot of firsts for me, like creating separate doll hair and clothing. I was unsure whether or not she would come out well, but she ended up looking extremely nice and the person who commissioned her was very happy as well. I started coming to twitch only in 2014, but I got very quickly after embraced by the community of a medium streamer, who after me being there for only a couple weeks decided he liked and trusted me enough to entrust me with the green sword. Simply the circumstances of getting this sword was one of my favorite experiences together with getting to know all about nightbot commands and becoming that streams resident mod DJ. I enjoy helping people in general, so that's naturally one of the things I enjoy most about modding for other streamers. I don't care too much for the banning side of it, I'm more of a community mod, if you will. This means I enjoy keeping the chat active and going, answering questions relating to the stream and explaining commands to new members of the community, who might be confused by them. I have also formed a deep bond with Nightbot and its song request functions and can be trusted to keep an eye on song volume, appropriate songs and the like. I can be requested to mod, but I only truly focus on modwork for people whose content I enjoy, so to ensure I'd be active I'd have to come around your stream a few times. You can mod me even if you don't get me to follow you, there are a couple channels that have done so, but then you'd have to separately message me whenever you want me around, since I likely won't be stumbling into your stream too often. I can be contacted through twitch, discord or, in emergency cases, twitter. The information for all of those shows up on my profile. My best memories are with streamers, that I have created deeper bonds with. I love seeing people I care about succeed and be the best they can be and I'll do everything I can to help them reach their goals, both as a friend/viewer and a fellow streamer. Rac_the_Kitty is by far my favorite streamer. He is a good singer, sometimes he does musicals and he often voice acts together with two other great streamers, HecticXXX9001 and Marcail. His commentating and silliness is a joy to listen to. On top of it all, he's really good at the games he plays, often with a dash of potato luck and he plays a wide variety of different games. There are certainly many reasons why he is the one I spend the most time watching on twitch. Report OSSini's profile for containing a lack of content. Report OSSini's profile for containing unsafe links. Report OSSini's profile for containing offensive content. Report OSSini's profile for containing formatting errors. Report OSSini's profile for containing invalid links. Report OSSini's profile for another issue.